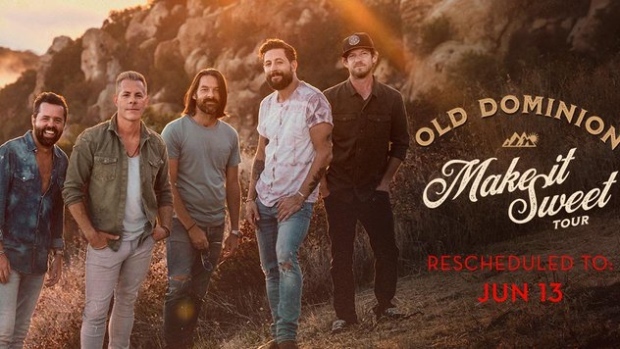 Country band Old Dominion’s show at Caesars Windsor has been postponed. The casino says frontman Matthew Ramsey needs leg surgery that could not be delayed. The show was originally Feb. 14, but the new show date is June 13. Ramsey thanked fans for understanding. Previously purchased tickets will be honoured on the rescheduled show date on June 13. If you are unable to attend on the new date, a full refund will be issued through point of purchase upon request.